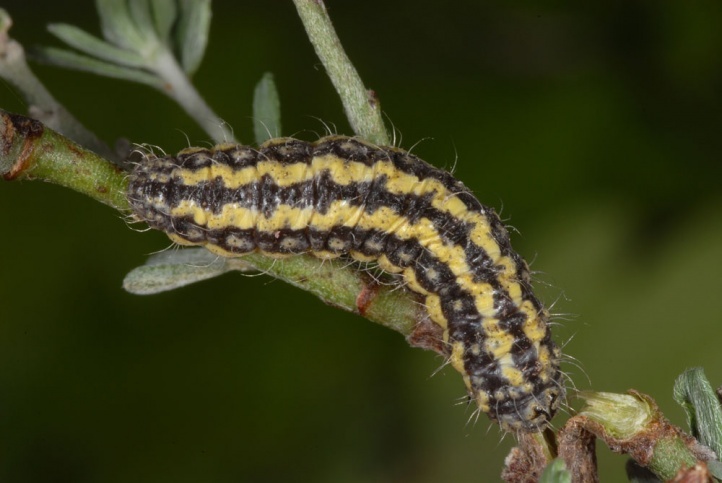 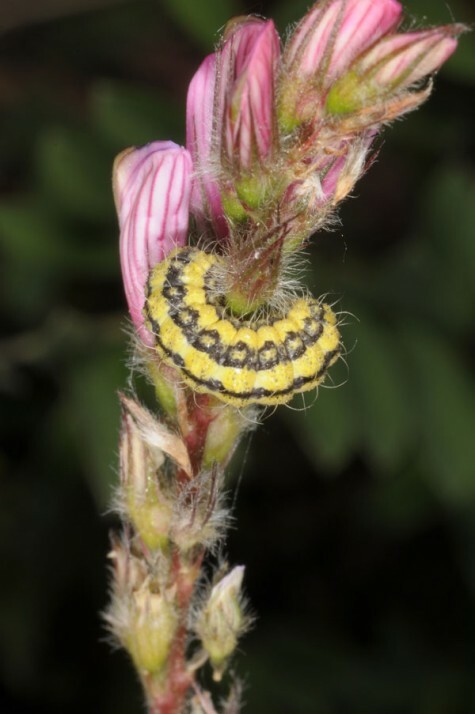 In the Susa Valley and Provence, I found many caterpillars on Asteraceae (Centaurea), Fabaceae (various genera such as Dorycnium, Lotus and Onobrychis, if available often on broom species) and Cistaceae (Helianthemum), interestingly, all three host plant families of the related Zygaenidae. 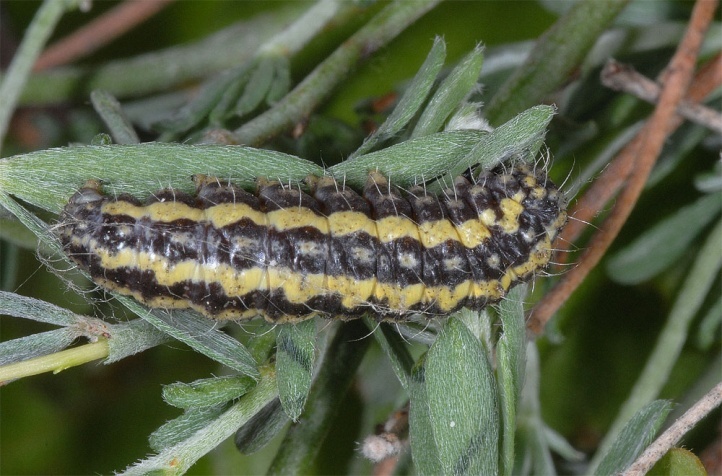 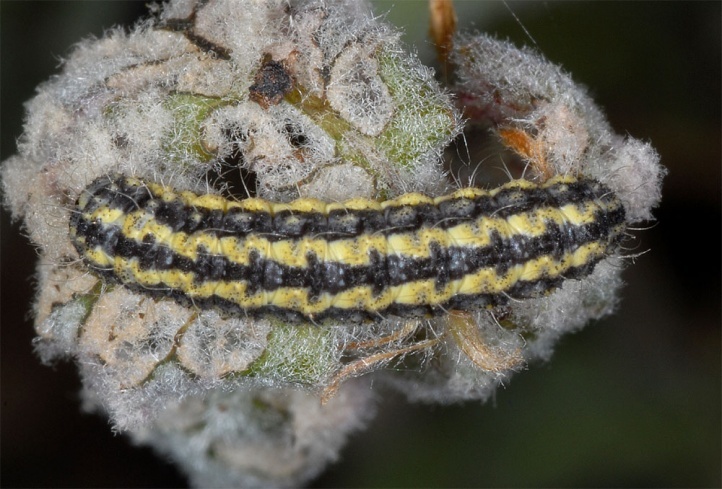 In Northern Greece I found Heterogynis larvae south of Smolikas (Pindos) feeding on Cirsium rosettes. 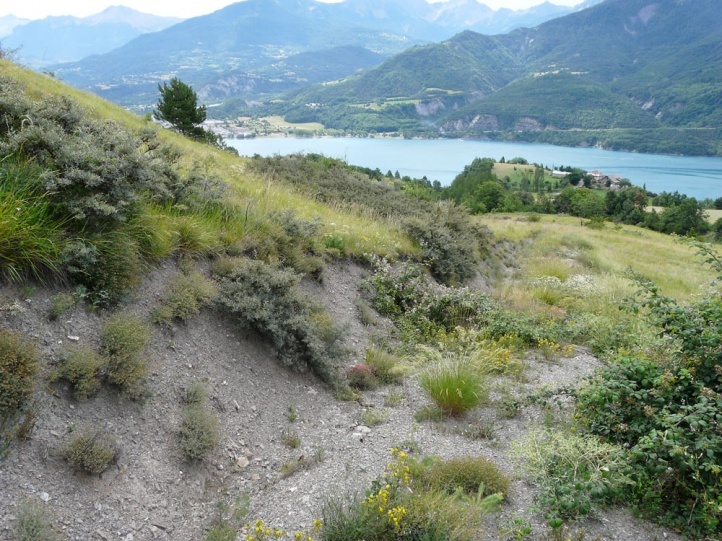 In sping/summer 2012 I observed further hostplants in the field in Southern France that are presumably not so important: Hippophaes rhamnoides at the lake Serre-Poncon (several feeding larvae in early July) and Prunus spinosa (feeding larvae together with those of Aglaope infausta on the Col de la Sine in late April). 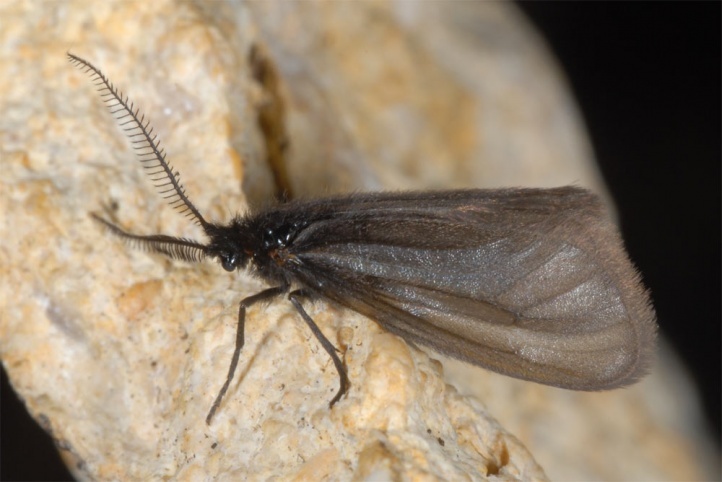 In Germany Heterogynis penella formerly occurred on warm slopes in the Middle Rhine and Nahe region. 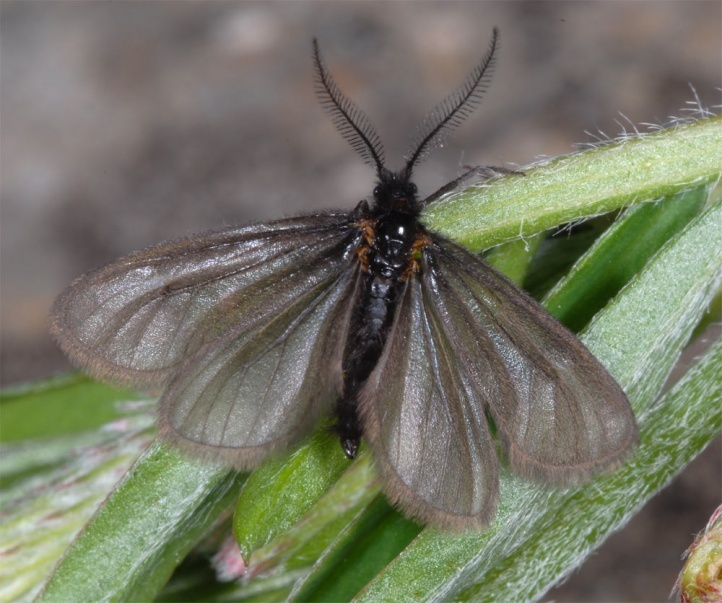 The moths fly from May to July/early August. 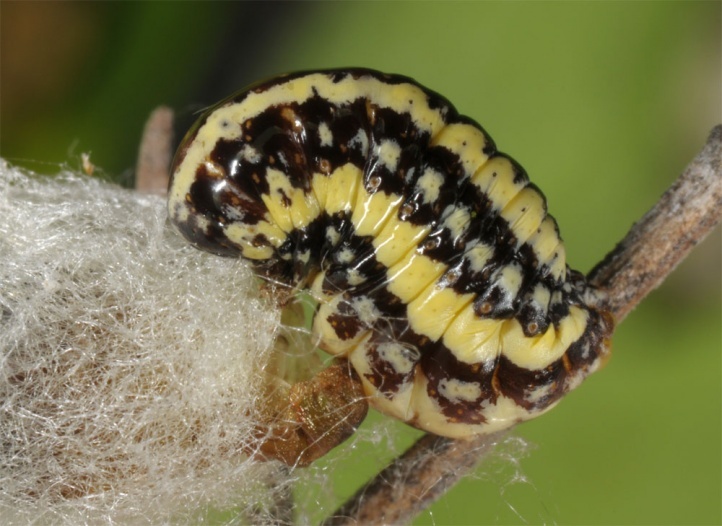 The wingless, plump females lay their eggs inside the cocoon. 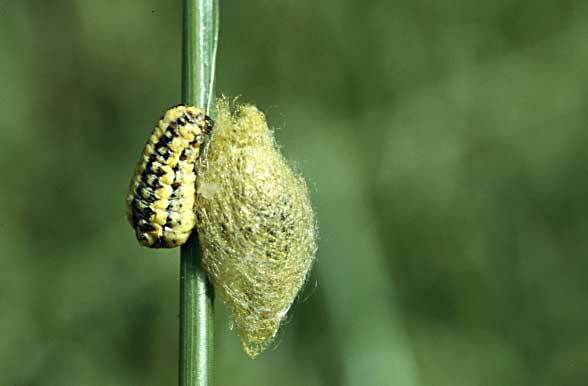 The young caterpillars live inside the cocoon and eat the dead mother and so last the summer heat. 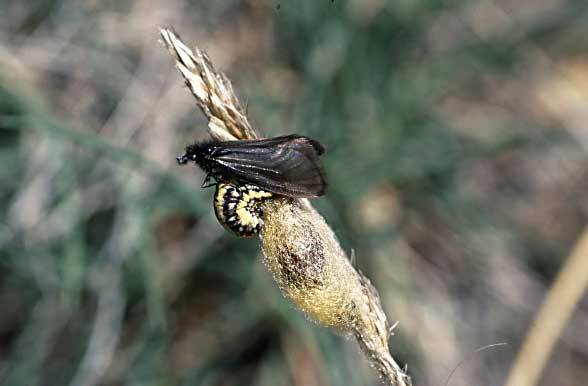 The cocoons are often created quite high in the vegetation in order to escape the heat at ground level and to obtain a a better position to attract the males. 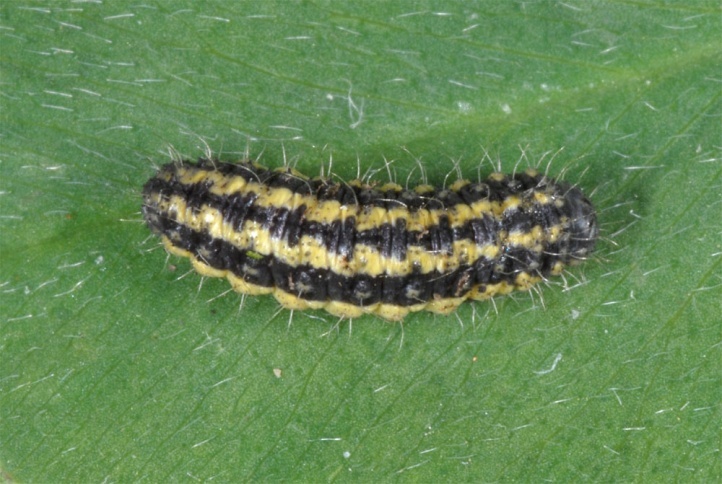 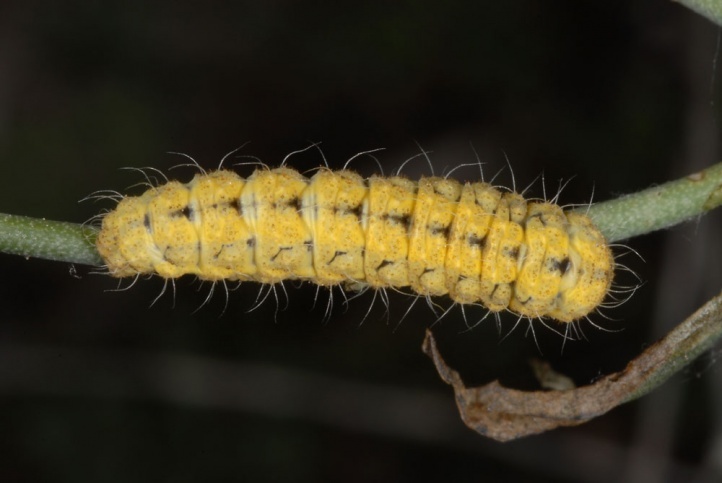 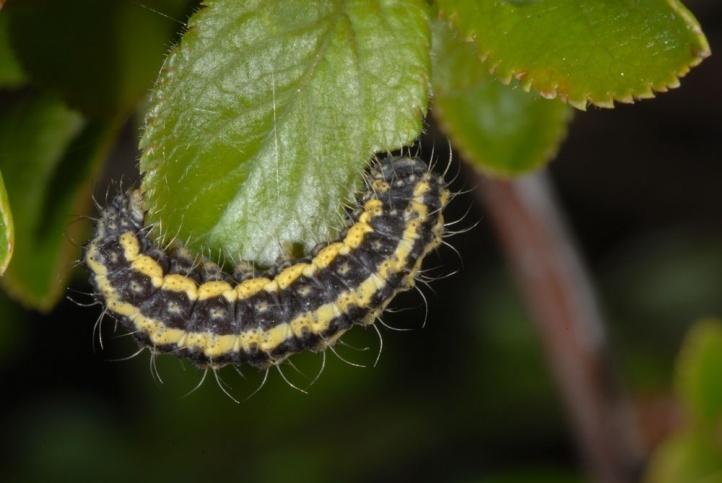 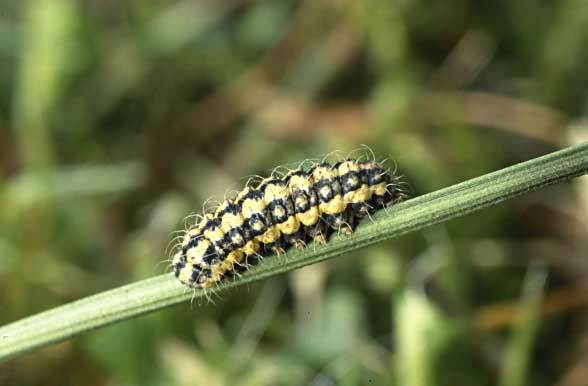 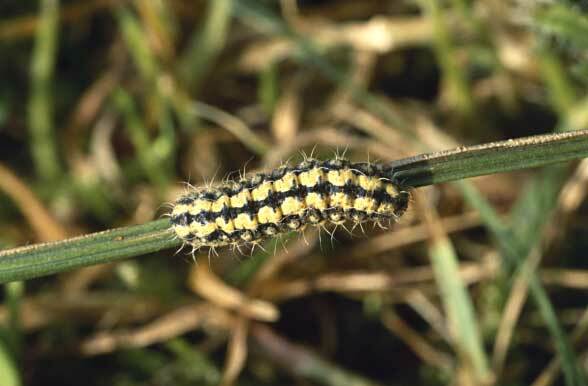 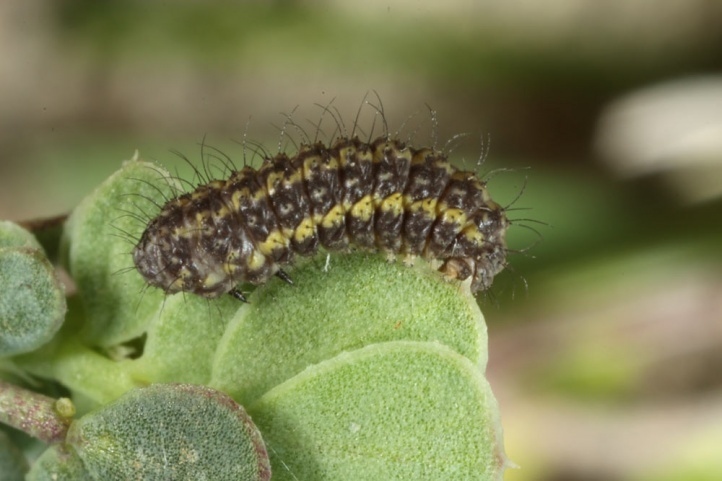 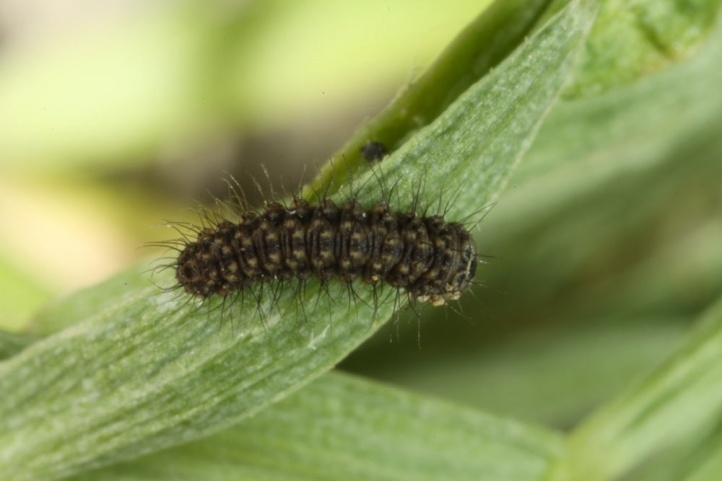 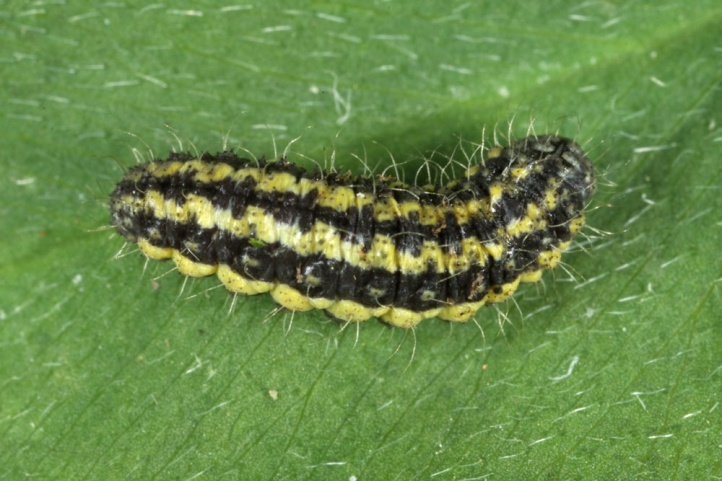 The caterpillars change to the host plants not until the end of August and in September. 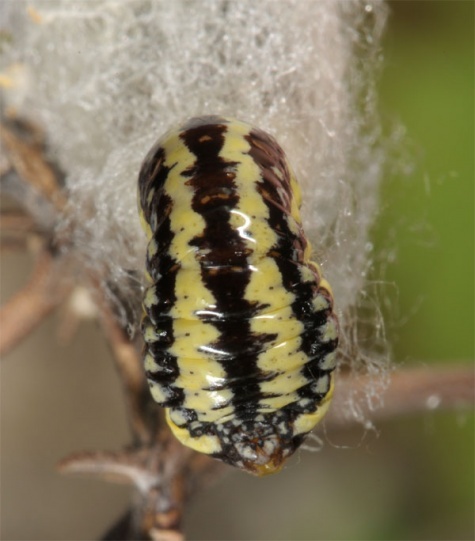 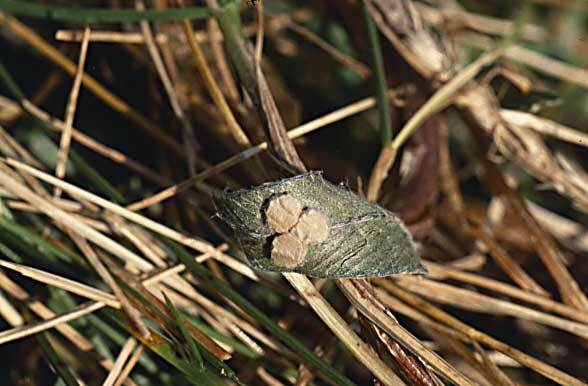 At the onset of winter the larvae construct dense, flat cocoons where they hibernate. 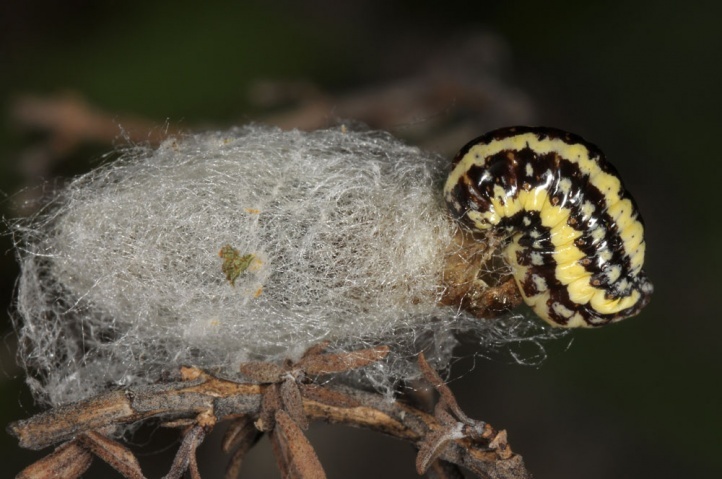 These larval hibernation cocoons occasionally can be found quite frequent in the vegetation (e.g. 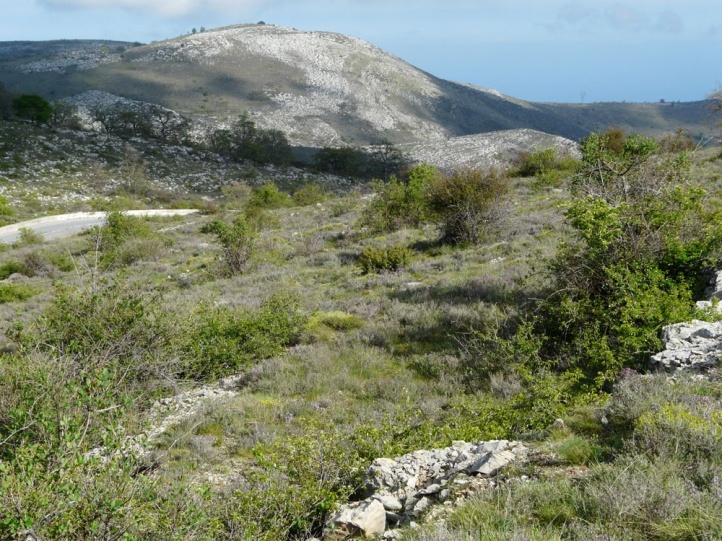 January 2004 at the Massif de la Sainte Baume). 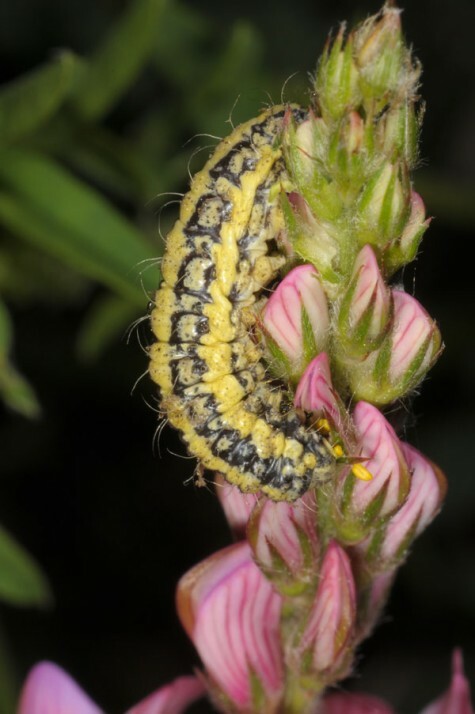 The mature caterpillars are found from April to early June, sometimes even still in July (2012 at the Lac de Serre-Poncon) together with adults. 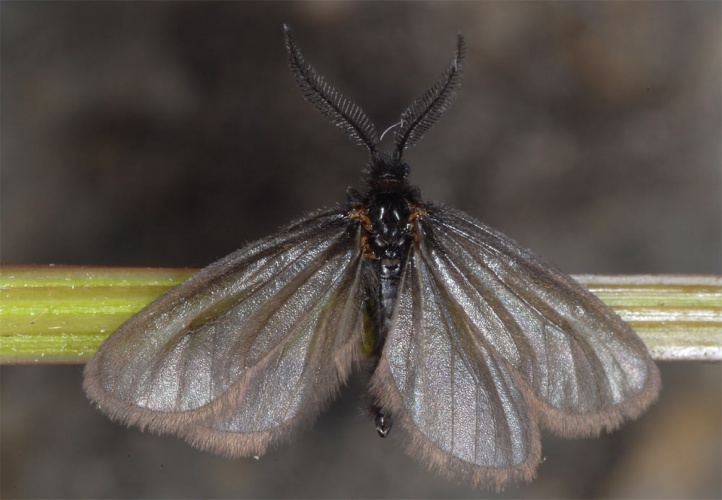 Heterogynis penella is already extinct in its relict outpostin the Middle Rhine region. 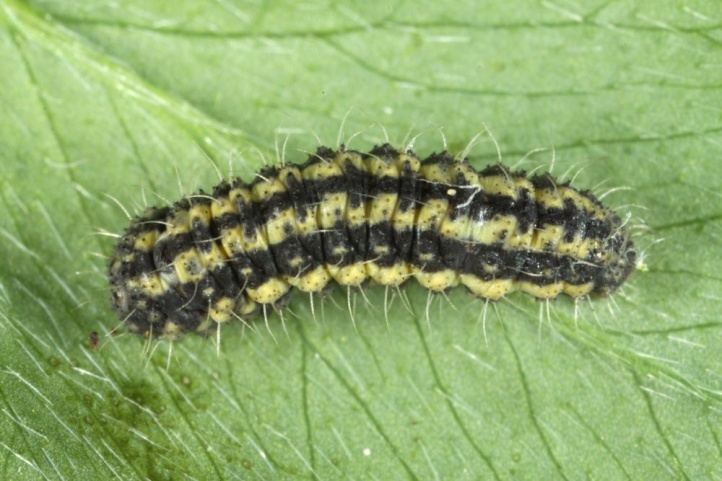 Otherwise Heterogynis penella still occurs in Central Europe only in Alsace (very local). 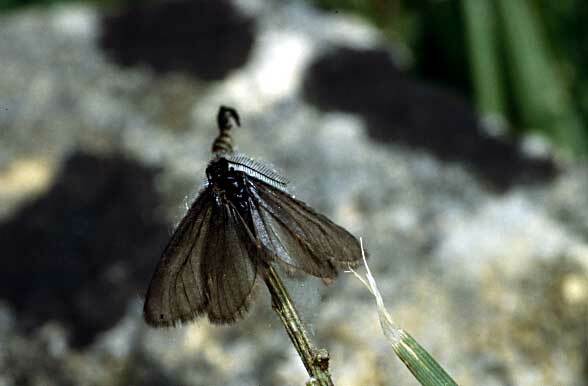 Southwest of the Alps (north-west Italy, Southern France), however, Heterogynis penella is often quite abundant in grasslands and maquis. 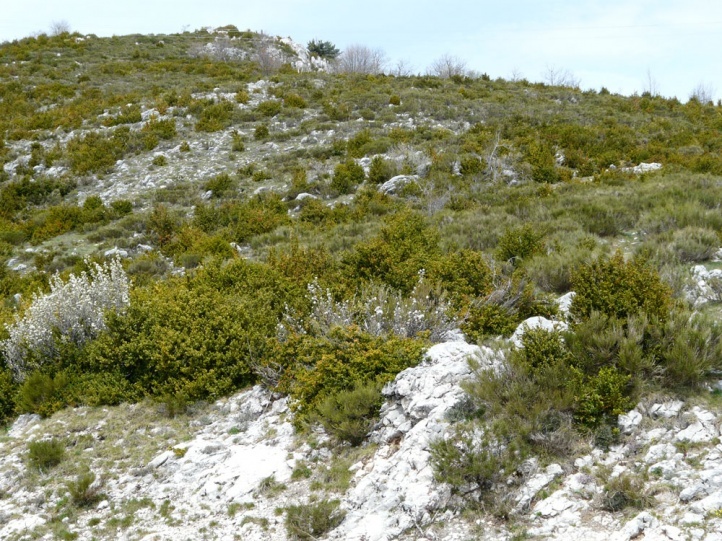 In southern Europe however, there are several closely related species of this genus.